The team at Windsor Dental Group has one goal: to help our patients have healthy and beautiful smiles. To accomplish this, we may turn to advanced cosmetic dentistry and smile makeover treatments, or we may consider more involved restorative dentistry therapies. When it comes to treating crooked teeth, the ideal solution tends to involve orthodontic care. Invisalign® is a new orthodontic treatment option that plenty of patients have expressed interest in. Let’s go over the basics of Invisalign® and then consider how long the overall treatment process will take. Invisalign® is a new step forward in orthodontic treatment. Rather than using brackets and wires like traditional orthodontic care, Invisalign® uses clear plastic aligner trays. These aligner trays are carefully created using modern computer technology and fabrication techniques. Patients will wear a series of aligners over the course of treatment time, with each aligner gradually shifting the position of the teeth. The trays can be removed so patients can eat and drink their favorite foods, and clean their teeth with ease. Optimal pressure is applied from aligner to aligner thanks to the computer technology that helps plan the treatment. The result by the end of Invisalign® treatment is a totally straight and healthy smile without the hassles of traditional braces. The first step in Invisalign® treatment is the consultation process. During the consultation, we can determine if Invisalign® is the right procedure for you and your needs, or if braces may be a better option. X-rays and impressions can be taken for people who are good candidates for Invisalign®. These are used in order to plan an entire treatment, allowing each aligner to be custom created for the various phases of treatment. Invisalign® patients will start with an initial aligner that applies gradual pressure to the teeth. A different aligner will be worn every two weeks, with each aligner applying different levels of pressure to help reposition the teeth along a patient’s dental arch. Invisalign® is as simple as that. Rather than going in for tightening and adjustments, it’s just a matter of switching aligners out on schedule until your teeth are straight and properly aligned. Every few weeks, patients will be asked to visit their dentist for follow-up care. 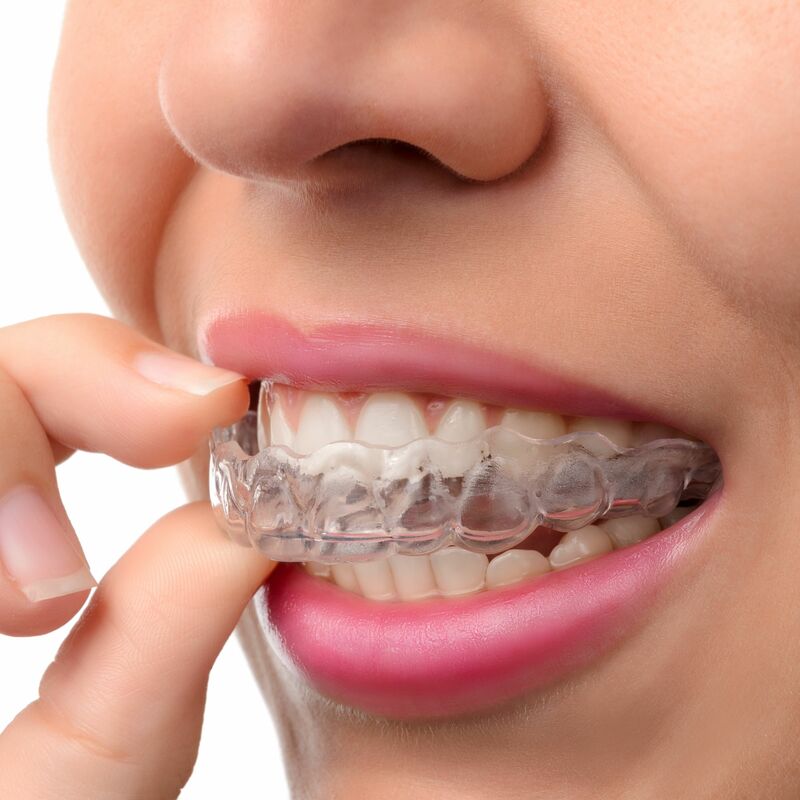 This will be done to monitor the overall progress of Invisalign® treatment. Patients are encouraged to ask questions and voice concerns during these follow-up visits and any time between then. The overall length of Invisalign® treatment can vary from patient to patient since the treatment process is totally customized. There is no one-size-fits-all approach to proper orthodontic care, and Invisalign® is no exception. In general, patients will undergo Invisalign® treatment for roughly the same amount of time as they would traditional orthodontic care with braces. Is There an Average Treatment Time for Invisalign®? In many cases, patients will require about 7 to 9 months for Invisalign® treatment. For severe malocclusion, more time and additional dental procedures may be required to achieve the best possible results. If you would like to learn more about Invisalign® and if it’s ideal for you, it’s imperative that you come in for a consultation. We can assess your situation and provide an honest assessment about your various treatment options. For more information about Invisalign® and how it can help you have a beautiful and healthy smile, be sure to contact our advanced dental care center today. The team at our practice is here to help you smile with renewed confidence.